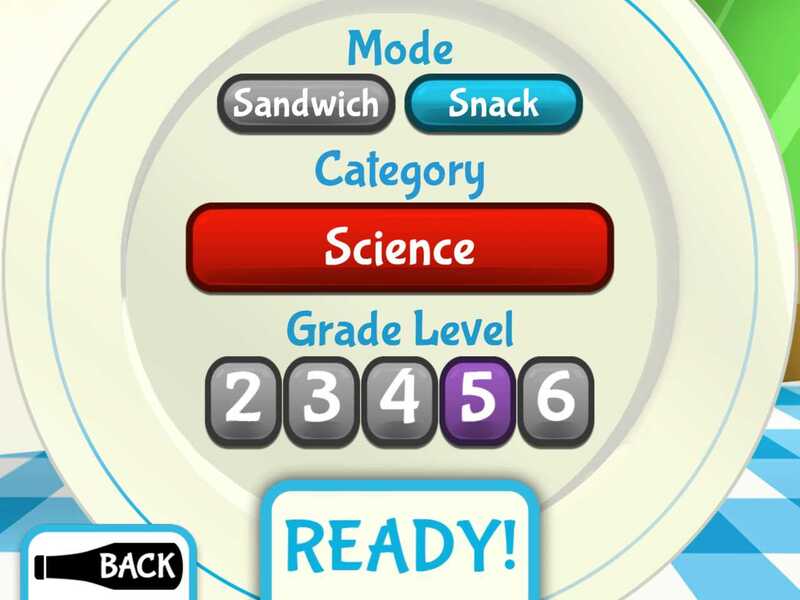 Food-themed trivia game makes learning educational facts delicious. One way to put fun into family time is to play a wacky trivia game. 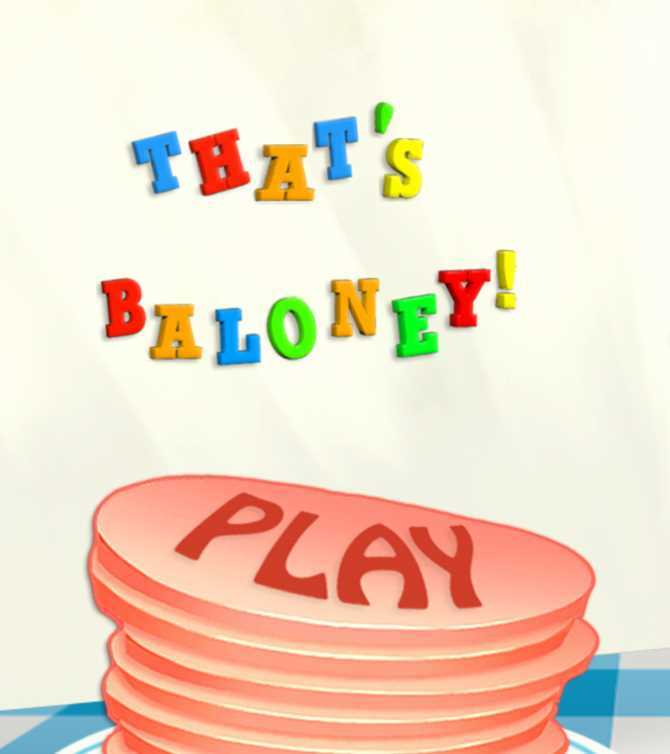 That's Baloney! Kids Quiz Game delivers the fun by providing 2500 kid-appropriate educational questions divided into levels from 2nd to 6th grade. The questions can be further sorted by subject matter to cover science, social studies, language arts, math, or a combo of the four called "Mystery Meat." 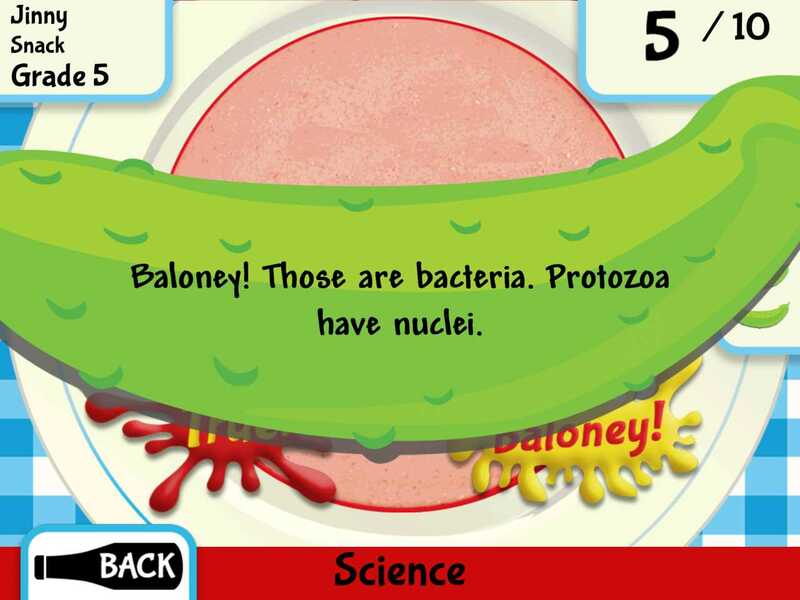 With this trivia smack-down app, families have over 2000 kid-appropriate educational questions at their fingertips. 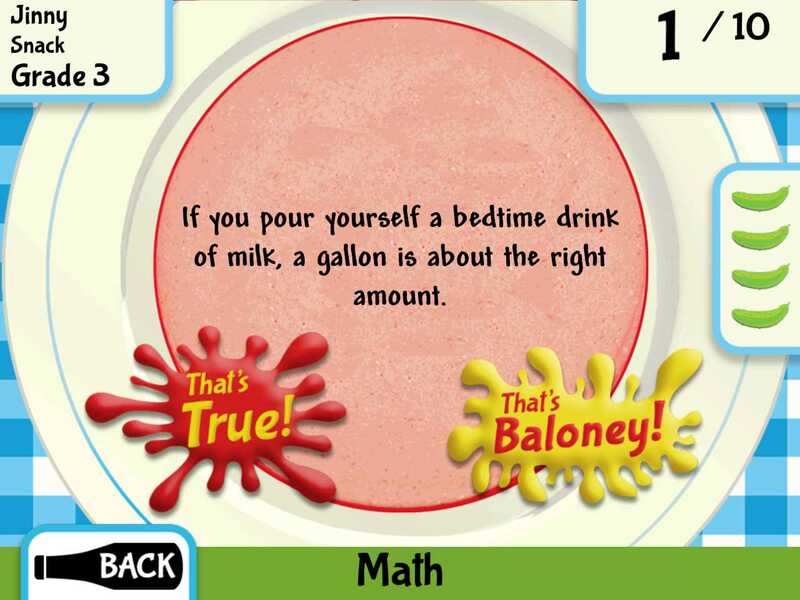 Kids will eat up the food theme as they hit the ketchup splat for "That's true" or the mustard blob for "That's baloney." Get a wrong answer and you are slapped with "The Pickle of Truth." 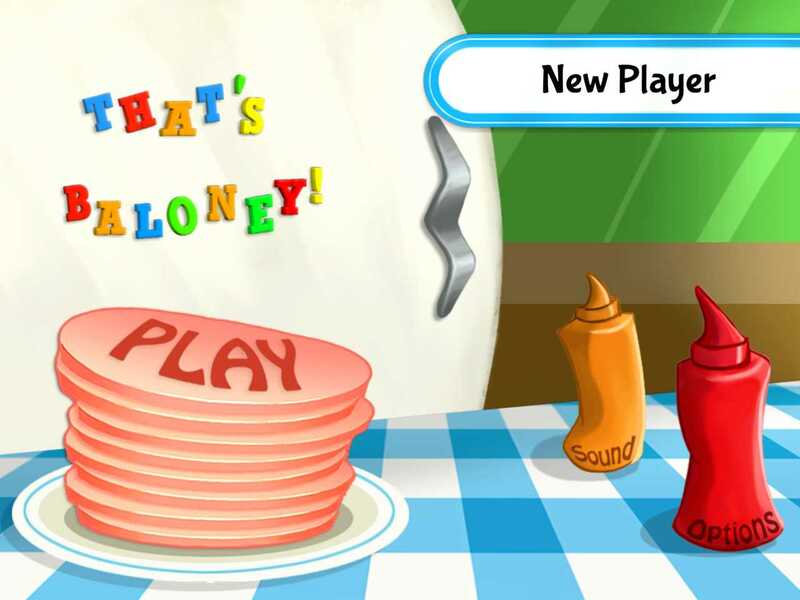 But answer correctly, and you get to eat the baloney sandwich. Yum. When kids answer incorrectly, the game is careful to explain the correct answer; and you can review your answers with the correct explanations after each round. We didn't like the opening screen showing a full page ad for another app by this publisher. Also, this app would have been better if it had a multiplayer mode. As is, it will keep track of up to four players, but there isn't a way to play together, taking turns. Since the questions are geared at kids ages 7-12, this app is best played with families having kids in that age range. It is a great app to download before going on a trip with your kids. You can create a family game by designating one person as the reader, and letting everyone else guess.